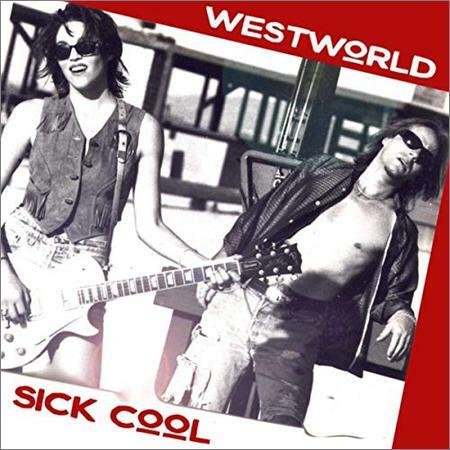 Westworld - Sick Cool (2018) - Музыка mp3 - Каталог файлов - Развлекательный сайт! This album and its unreleased tracks are transitional points between two bands, Westworld and Moondogg. From home in London to home just north of Phoenix in Cave Creek Arizona. Recorded from 1992 to 1994 in various places somehow it all comes together as a cohesive album of great Rock'n'Roll, featuring Elizabeth Westwood on vocals, Derwood Andrews on guitar and a host of local talent. Track one 'Speedmaster MK II' has Jerry Judd on drums, Todd Middleman on bass. Recorded in Phoenix Arizona. Track two 'Silver Lining' has Mark Laff on drums and Tony James on bass, with Derwood on guitar that's 2/ 3rds of Generation X. Recorded in London England, with the demo being used to create a different take on the song, crafted by Martin Lee Stephenson and used as the first single on Moondogg's first album 'Fat Lot Of Good' in 1996. Track three 'Gold in the Hills' has Jeff Bourne on drums and Michael Gregovich on bass. Recorded in Phoenix, Gregovich was the recording engineer and later the bass player with Derwood's band Empire. Track four 'Wonderfool' Generation X in London again. The demo was also re-worked by Martin Lee Stephenson for 'Fat Lot Of Good'. Track five 'Sentimental Stand' has Jerry Judd on drums, Todd Middleman on bass and Mike Broening on piano, also the boys on backing vocals. An unreleased 20 minute movie was made by the band featuring this and other tracks from 1993. Track six 'Black Pain' is the demo used and remixed by Lee Stephenson on 'Fat Lot Of Good', which was also a single. Track seven 'Girl Blues' has Jeff Bourne on drums, Todd Middleman on bass and Mike Broening on piano and their backing vocals. Track eight 'Sick Cool' is the demo used and remixed by Lee Stephenson on 'Fat Lot Of Good'. Track nine 'Alright' Generation X in London again. The demo was also re-worked by Martin Lee Stephenson for 'Fat Lot Of Good'. Track ten 'Piece of Mind' is the demo used and remixed by Lee Stephenson on 'Fat Lot Of Good' sessions, which was a B-side single. Track eleven 'Earth loop' has Jerry Judd on drums and Todd Middleman on bass. Track twelve 'The End' is the demo used and remixed by Lee Stephenson on 'Fat Lot Of Good,' with the end of The End tacked on the end….get it?